Australians love the outdoors and it’s a passion shared by Outside Concepts. We’ve been designing and creating outdoor structures for South Australians and adding value to their homes since 1991. 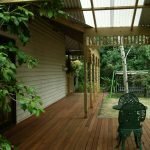 Locally-owned and operated, Outside Concepts has built a reputation as one of Australian’s leading suppliers of outdoor living designs. Whether you’re looking for a stylish all-year-round alfresco area, a place to entertain family and friends, a quite spot to relax or an area to protect your car, Outside Concepts are the experts. From concept to clean-up, we’ll make your outside project easy and hassle-free. Our qualified professionals can also help with the advice you need. We’ve designed and built hundreds of outside structures so can help you with key decisions, such as choosing a style to perfectly match your home and deciding on the best materials for your needs and budget. Outside Concepts services all the greater Adelaide area and beyond. This includes Victor Harbour on the South Coast, the entire metropolitan area, the Adelaide Hills and Barossa Valley regions and the Riverland area to the east. Phone Outside Concepts on 1800 601 674 or find your nearest branch and we’ll have one of our friendly professionals visit for a free design and quote.